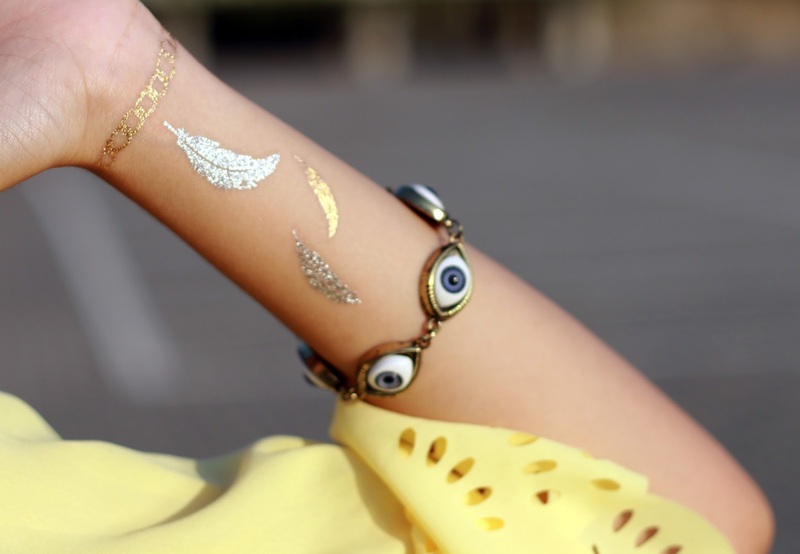 Got mine flash tatto too yesterday, by the way you also can buy flash tatto on Stylemoi. And if you wanna see boho collection outfit from StyleMoi, you can click here. Loving the hippie vibe of your look, Rin! I'm gonna nominate you for the Versatile Blogger Award tomorrow! Hope you join, dear! <3 Happy Friday! What a great outfit...sooo chic! Oh, you are so beautiful <3 And I love this outfit !! your pants are so cute, and I love them! Cool trousers, you've got great style, you look lovely! I adore the whole combo! These pants are awesome! You look incredible! I love that yellow top!! Love the way you styled this off the shoulder top, very boho chic. foxy and hippie chic!! Love it! gorgeous outfit sweetie...love your top!! and it suits as for vacation in a beach. Your dress is great, you are so beautiful!